Women, Food and Agriculture Network is currently accepting applications for our 2016 female farmer mentoring program, Harvesting Our Potential. This is a program that helps train women to become farmers by giving them the opportunity to work on farms with women who are already successful farmers. Are you secretly interested in farming? If you’re a woman who has been thinking about farming – we have a great opportunity for you to explore that possibility. There are so many different things to think about – business plans, financing, land purchase, legal responsibilities, what to grow, who to sell it to, marketing, food safety regulations…….and the list goes on. Have I got a deal for you!! On June 25 there will be an informal but highly informational gathering at the Fairview Lodge in Story City. We’ll start the day getting to know each other, and then we’ll listen to resource people share information about many of the topics mentioned above. Finally, we’ll head off on a short trip to two farms with women in leadership positions – Mustard Seed Farm and Lacewing Acres. We can't say enough for the WFAN conference. 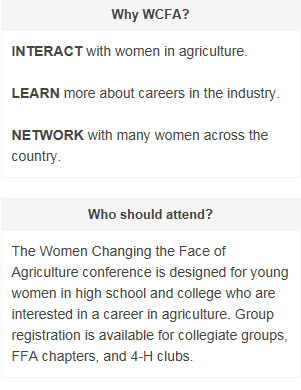 If you want to learn about the phenomenal work women are doing in agriculture here in Iowa, don't miss it! And emphasizing protecting pollinators? If it's vital to agriculture, and life in general, WFAN's on it! Free land conservation training sessions for women landowners in Wisconsin, in partnership with the Women Food & Agriculture network. 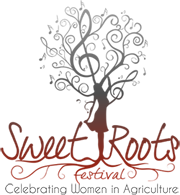 For three days and with five unique components and involving more than twenty farms, the jam-packed SOIL SISTERS culinary event celebrates Wisconsin’s family farms and rural life in and around the farming communities of Monroe and Brodhead, Wisconsin, over the first weekend of August, 2015. 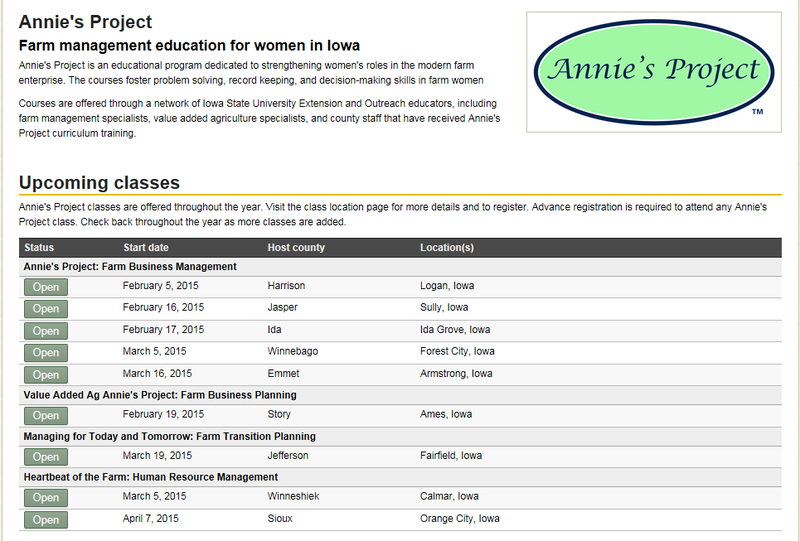 Registration is open for the first in a series of four “women only” Women in Farming Risk Management Education workshops to be hosted by the Kansas Rural Center during the spring and summer of 2015. All four of the workshops in KRC’s “Women in Farming” series will highlight the opportunities and the challenges women face as they implement new enterprises on existing farms, begin farming or take over family operations, or just try to adopt new practices and enterprises with their families. Thanks to Karen Mashek for making sure we don't miss this! 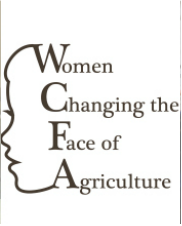 The Women in Agriculture Learning Network invites you to join them for their upcoming Women in Ag Fall 2014 Webinar Series. Three upcoming webinars will focus on women’s leadership roles, what the 2012 Census of Agriculture tells us about women, and why women’s unique roles in agriculture matter. To join the webinars: Go to https://connect.extension.iastate.edu/womeninag about 10 minutes prior to the start time. Click on “Enter as a Guest” and type your name in the space provided, then click on “Enter Room.” For best results, we suggest you use Firefox or Internet Explorer as your web browser. Prior to participating in this Adobe Connect event, please go to the following URL to confirm ability to log on to the Connect server:www.extension.iastate.edu/testconnect.